After some feedback last week, I think I've trimmed the rules down to a manageable level; one that conveys the spirit of what I'm looking for without being wordy or clunky as it was before. I didn't have room to include the table that determines what location is Compromised on a Critical Hit, but I should be able to fit that in on the equipment card. You can click on the image to see it's full size. Not sure if I'm going to have a blog post next week. Definitely not the next week after that. I've got a lot of writing to do and not a lot of time to do it. Especially since I was an idiot and went and proclaimed I'd write the sequel for "The Guns of Nova Rain" and bring it to GamerNationCon 016. Another week, another blog post. I know I didn't have one last week, with good reason. I'm still trying to squeeze in posts when I can, but I've got a lot to do and I'm running out of time to do it. I've been pouring a lot of my writing energy into the "Edge of the Wasteland" module I'm writing for GamerNation Con. It's almost to the point where I can get a playtest group together and give it a go for 4 hours to see how it shakes out. I figure one more weekend and it'll be ready for testing. Part of what I'm writing for that module involves rules for one specific character; the Knight from the Brotherhood of Steel. She's tromping around the Wasteland of the central Commonwealth in a well-loved T-45b power armor suit. As I've mentioned before, Power Armor changed dramatically between Fallout 3 and Fallout 4. Fallout 3 it was basically stat boosting armor. Fallout 4 it's practically a vehicle. It boosts stats, sure, but it's also an environmental suit, it runs on a limited-use power cell, it is loaded down with enhancements and customization options. I want to keep some of that for my module, but I also have to take into consideration the reality that the person playing this character will have about 5 minutes to familiarize themselves with these rules. Simplicity may be the necessity. I pondered making Power Armor a Silhouette 1 vehicle, but after a lot of consideration about the complexities of vehicle-scale interactions with personal scale combat, I elected to make Power Armor act very similar to normal armor. There are some changes, though, and some complexities. Player characters can wear anything when they enter Power Armor as long as they are not Encumbered, at the GM's discretion. While wearing Power Armor, the Soak rating of the Power Armor replaces that of the character while is its worn. This is a total replacement; it does not add to it, nor do any of the Character’s Characteristics, Talents, or Abilities add to the Soak rating of the Armor. When the character is struck by an attack, subtract the Soak of the Power Armor from the damage and apply the remaining amount to the character's current damage total. The exception to this is if the attack strikes a location that's "Compromised". Critical Hits against a character in Power Armor are determined and activated as normal; the attacker must score enough Advantage to activate the Crit Rating of their weapon, or spend a Triumph to generate a Critical Hit. When a Critical Hits is scored on a character wearing power armor, that hit removes the Power Armor's protection of a limb, head, or torso instead of inflicting a Component Critical. The location struck by the critical hit is now "Compromised". Any attachments or modifications granted by a Compromised location are lost until that location is repaired. 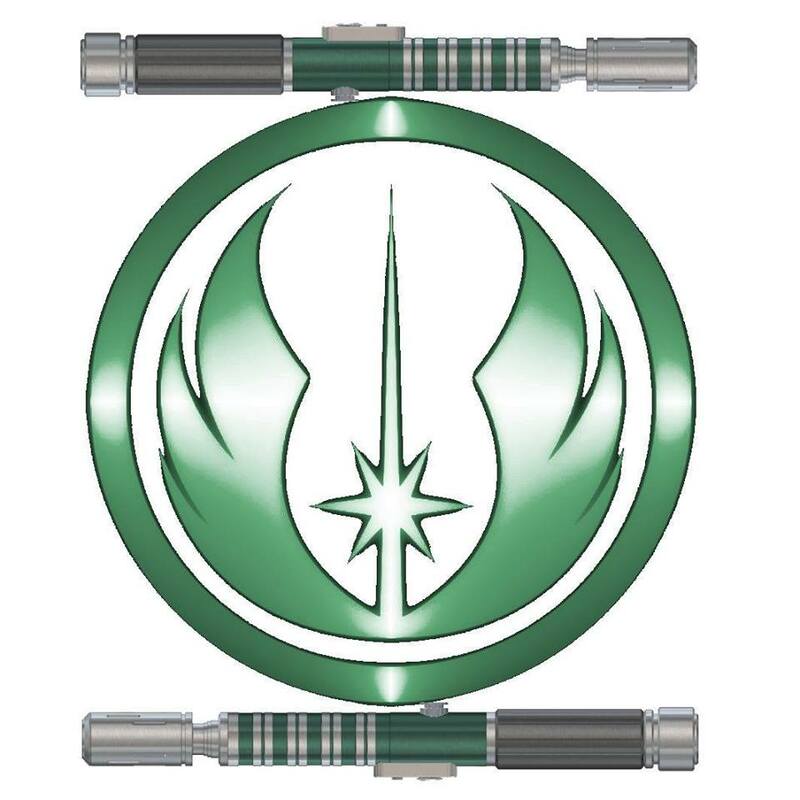 If the location rolled is already Compromised, the hit scores a Critical Injury against the wearer, and the Critical Injury result is determined as per the normal rules in Edge of the Empire. A specific Location can be targeted by using the Aiming at a Specific Part rules on page 201 Edge of the Empire. If successful, that targeted location is struck (arm, leg,torso, or head). If the attack generates a Critical Hit, the Critical Hit is applied to that specific location and that location is now Compromised. If the attack hits a location that is already Compromised, the attack is applied to the wearer against the Character’s Soak, not the Power Armor’s soak. Repairing a Compromised section of Power Armor requires a Hard Mechanics Check to fix. You also need to have a Power Armor Repair cradle or other heavy lift, a tool kit, and a selection of salvage. The difficulty of the check is upgraded twice if attempted without such a lift, and cannot be attempted at all if missing a tool kit or salvaged metal/replacement parts. Power Armor allows the wearer to fall from great heights without much injury, as long as they land right. Characters wearing Power Armor treat all falls as 1 Range band shorter (Long range becomes Medium, Medium becomes Short, and Short falls inflict no damage). Additionally, the character may spend 3 Advantage or a Triumph on their Coordination or Athletics check when reducing falling damage (page 215, EotE) to reduce the fall by an additional range band. 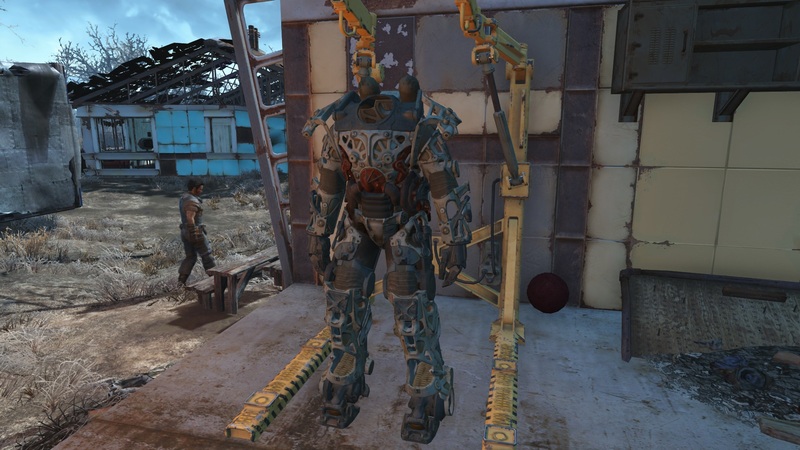 In Fallout 4, all Power Armor requires a Fusion Core to operate. The Power Armor draws power from the disposable Fusion Core, and the rate of consumption is determined by the actions the wearer makes. The Core’s fuel charge cannot be replenished; once it’s gone, it's a dead battery. The Power Armor can only be refueled by installing a fresh Fusion core. Spent cores can be recharged from a generator or other power source, regaining a number of points per hour per the generator’s power rating. All Cores start with 100 points of fuel. Jet Pack (if one is installed) - 1 Point per range band moved. This is all I have for now. There will likely be other actions that drain the suit, but this is all I have right now. I'm on the fence about having the Fusion Core be something for the Brotherhood Knight to worry about for my module at GamerNationCon. If I use it, she'll probably start with something like 40 points of Fuel; an amount that will may tempt her to use it during early engagements but may make her rather stingy with her actions towards the end of the module. That or she'll say "to hell with it", run it dry, and either find a way to recharge/replace the Fusion Cell or ditch the suit. Here's the example suit for the Brotherhood Knight in the adventure. There's a spotlight attached to the helmet, but since the helmet is starting the adventure Compromised it's not working. If the Knight can get the helmet fixed during play, the spotlight will become usable again. 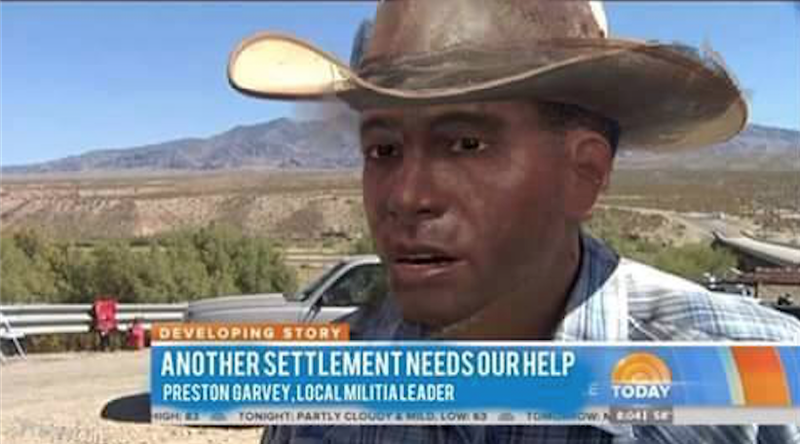 Another Settlement Needs Your Help! The adventure is coming together pretty well, I'll admit that. I've got the outline, I've got the detailed write-up about half finished, and if I push it should be good to go by Monday. Then I have to figure out maps, create the character sheets, and it's set. Then I can determine if I have time to write up the sequel to last year's "Guns of Nova Rain". I finally figured out what I want to do for "The Hunt for White Spring", but I have to decide if I have the time to get it finished for March, with a 2 week loss of writing time for when I'm on vacation. My life is so rough at times. Not sure where I want to go with this weeks blog. I'm kinda all over the place creatively. This week, I finally busted open the writer's block I had solidly formed in my brain concerning one of the modules I wanted to write for GamerNationCon 2016, down in Dallas, Texas in April. I knew I wanted to try and write up something for Fallout, an urge that got even stronger once the damn game released last November. I'm not even done with the damn thing, I'm still playing, possibly only half way through the main story-line. I keep getting side-tracked by side quests, exploring the Commonwealth, building up the settlements I have founded, and answering all those damn "requests" from Preston telling me that there's another Settlement that needs my help. "Did the Minutemen send you?" "...you mean did I send me? The, apparently, only fstarking Minuteman member in this whole fstarking Commonwealth? In spite of the fact that I've got a frikkin' Castle with about two dozen guys in it who's labels state they're Minutemen? Me, the same guy who was here last month, saving your collective asses from those Raiders holed-up half-way across the map? Even though I've got 3 settlements within a much shorter distance, they traveled across Feral Ghoul Infested ruins and a Deathclaw warren to attack this settlement? And even though I've set up a defensive tower with enough Rocket Launchers and Auto-Lasers to bring down a Legendary Mirelurk Queen, a group of Raiders with pipe pistols and armor made from tires and kitchen utensils are somehow are able to bypass the defenses and raid your mutfruit trees! Yes, the Minutemen sent me; you long-term-memory-damaged incompetent half-wit!" "Oh good, because we're having a real problem with these Raiders!" ...that rant too far too much time to sculpt. I need therapy. So yeah, dam busted. Creativity flowing. This is good because if I can get this module done, it means I'm no longer dwelling on it and other projects can get up and running like my bi-weekly Wednesday night Skype game that my PCs are probably a week away from laying siege to my house with pitchforks and dice bags. Ah, who am I kidding. I'm the only one with dice in this group. They use the app or EotE Hangout Tools to roll. Lets step back to my TFA/FFG campaign conversion. In my head, I like to think that a couple PCs from the GM's last Star Wars campaign that he ran back in college heard he was running some new PCs through FFG's Edge of the Empire and wanted to play their old characters. The GM allowed it, feeling that FFG is a nice system to allow more experienced players to game with new PCs (and it is, I can tell you). So at the start of Session 2, PCs Han Solo and Chewbacca join up to make a foursome. They have some nice intro RP interaction, and once all the PCs seemingly agree to work together to move along the GM's plot, the GM moves to the next scene. Two things happen during this adventure; first, the GM rolls and triggers Han's Debt Obligation. Bala-Tik and the Guarvian Death Gang board Han's larger freighter looking for their money. Han tells the new PCs to hide while he and Chewie handle things. It's at this point that the second memorable event starts; the fickleness of the dice. Every now and then, you'll have astounding luck in this system, either good or bad. There will be sessions where every die roll that could generate a Triumph will. It'll be like there's a two for one sale at Fizwaloo's Triumph Emporium. The opposite is also true; there will be sessions sponsored by Bachota's Discount Despair Shop. If you could roll a despair, you will. This session turns out to be the later. Han attempts to Deceive Bala-Tik, trying to appease him and give him more time. He fails, and rolls a Despair. Not only does Bala-Tik see through his lies, but the GM decides to have a little fun with the Despair and has the Kanjiklub gang board Han's freighter. While trying to calm down Kanjiklub, he rolls another despair, and both groups realize the Droid is the one the First Order is looking for, and have the insight to guess that the two fugitives the First Order seeks may also be on board. Finn and Rey, not wanting to be idle, assess the situation. Rey comes up with a phenomenal idea to try and slam the blast doors closed, isolating and trapping the two gangs. It's a relatively easy check, one that the GM flips a Destiny point on to add some tension to the roll. It works; failure with advantage, but also Despair. The GM decides that she didn't close the blast doors to the hallway; she opened the blast doors to the rathtar holds. With the Advantage, the GM allows that to be spent on having the rathtars attack the two gangs first. Hilarity ensues, and I think the only way the scene could be better presented was if Yakkety Sax was playing in the background. The PCs have a few narrow escapes, Chewie takes a nasty shot and critical injury to the arm, and they all board the Millennium Falcon to escape. One of the rathtars attaches itself to the cockpit, obscuring the view and preventing a proper take off. Suddenly Han's player announces he wants to go to light speed from a resting position in a hanger bay. The GM, who would have flat out said "no" in previous editions of the game, has bought in to the "yes, and..." atmosphere of the FFG system. He affirms that the attempt can be made and pushes three red Challenge Dice and two purple Difficulty dice across the table. He also adds two Setback dice, because the view-port is blocked by a slobbering rathtar trying to eat the Falcon's cockpit. Han, a high "level" character with many sessions of XP under his belt, picks up his three yellow Proficiency dice and two green Ability dice to make the roll. He does; and after cancelling out a boat load of success, failure, advantage, and threat ends up rolling a net success with a Triumph and a Despair. The Triumph is used to rip the rathtar right off the cockpit and scatter the remaining Death Gang members across the ship. The Despair is used by the GM to cause a critical failure in the Hyperdrive that will scatter pieces of the Falcon across three sectors if they can't get it fixed. 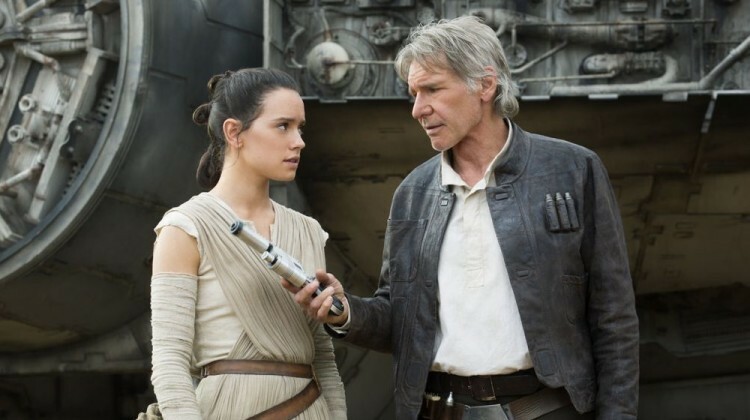 Fortunately, Rey is a whiz mechanic and makes the repair check to bypass the compressor on the Falcon's hyperdrive. Finn, meanwhile, is trying to treat Chewie's critical injury but fails...and rolls a Despair, causing so much pain and discomfort that he enrages the wookiee. Chewie's player announces that he's throttling Finn as a way of displaying his displeasure at Finn's skill with Medicine. The GM elects to ends the session there, with the PCs arriving at Takodana (he knows that there will be a huge fight at Takodana and doesn't have time to run it). Han's player says that this game is really rough on melee fighters and has his character hand Rey a blaster pistol. Rey grudgingly takes it, and spends some of this session's XP on buying some skill in Ranged (Light) weapons. She also spends 20 xp to pick up Force Sensitive Exile, and is now officially Force Sensitive. Not sure if I'll continue this next week, or if I'll keep this on an every three or four week rotation.